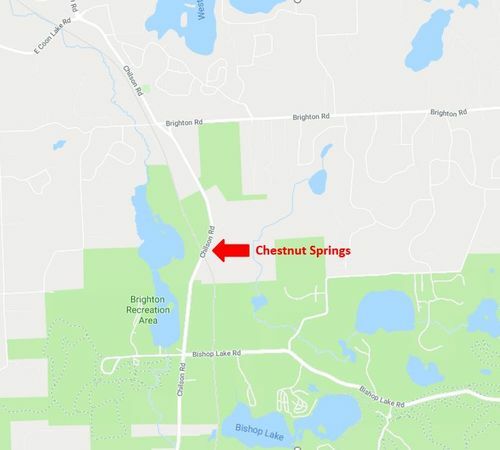 Upcoming Chestnut community, Chestnut Springs, will offer the conveniences low/no yard maintenance with the advantages of private site condo properties. 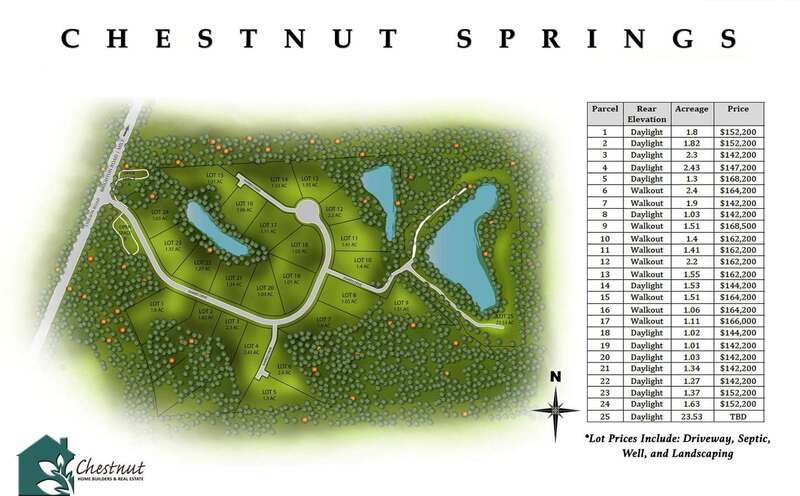 Choose one of our Chestnut portfolio homes, and the site of your choice, to build the perfect maintenance free home in this serene wooded community. Finer finishes Chestnut Builders are known for. 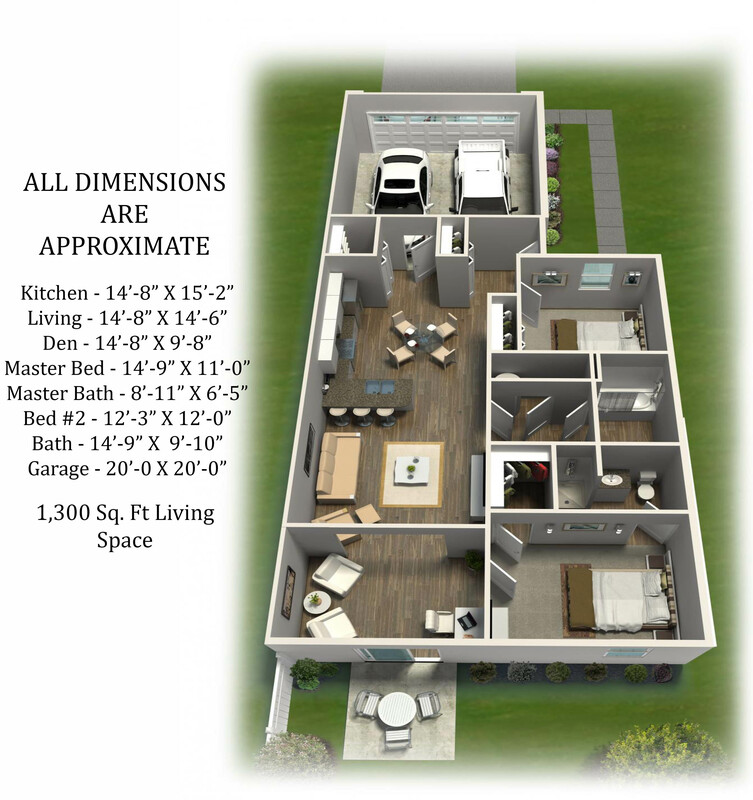 Optional Gourmet Kitchens with standard stainless steel appliances included. Open kitchen w/ large center island. Optional built-in appliances. Recessed lighting with dimmers. Great Room with fireplace for cozy fall/winter evenings. Baths have finer finishes such as Moen rain shower head & granite bench seat in ceramic surround master shower. Exterior begins with the Superior Wall foundation includes an area under the porch that can be used for a safe room, wine cellar, storage and more. Maintenance free exteriors along with your lawn care. Covered front porch to welcome your guests as well as a back deck. Optional finished lower level with bedroom, full bathroom, and bar. 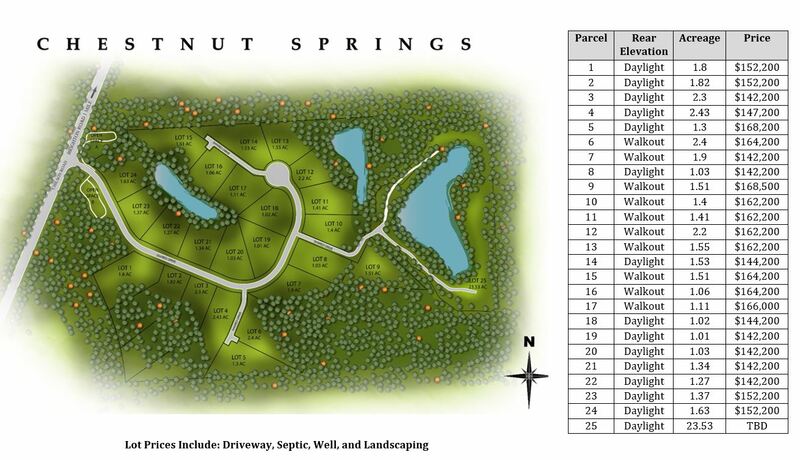 Sign Up To Receive Updates on our Chestnut Springs Community!